One of those comfort foods I grew up but using mostly Escarole than spinach. Greens were always an important part of the soup. 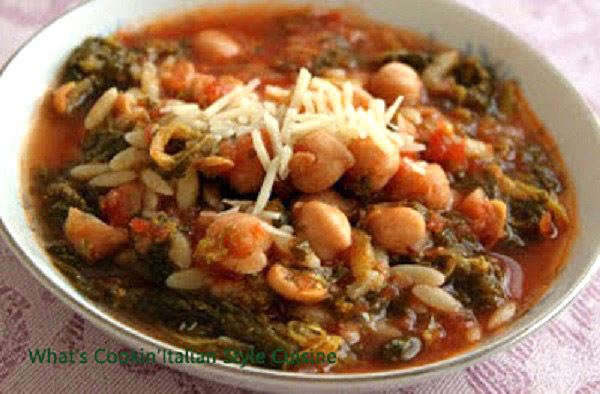 Spinach makes this vibrant and comforting! Any greens you like can go in this soup. I just love spinach and escarole. Note: this soup is great with tortellini boiled to package instructions. In a large saucepan, add oil and garlic, chickpeas and spinach and saute for 2 minutes stirring constantly making sure garlic doesn't scorch. Add spices, chicken broth, tomatoes, water and all rest of the ingredients. Simmer for around 1/2 hour. Stir in boiled and drained pasta made from package instructions. If too thick add more water for desired thickness. Top with red pepper flakes for a little heat and grated Romano cheese. This recipe is the perfect healthy, warming dish . I love "greens and beans". It snowed. That requires soup. 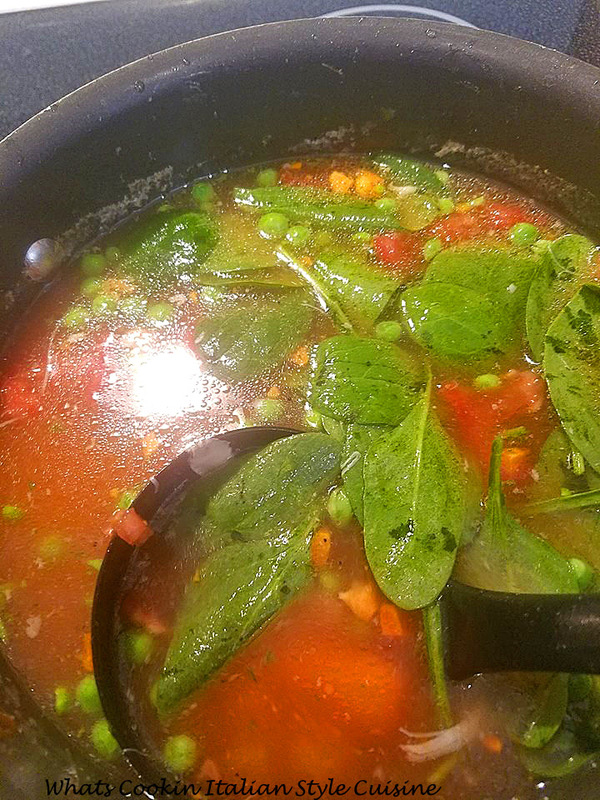 Hearty soup with greens and - here you are. Will be doing it. Perfect timing. That looks wonderful and very delicious. I wouldn't mind having it know on this cold weather. I love this soup Claudia. It's healthy and makes a perfect one pot meal. Another I will have to try!